Located just outside the town of Morlaix in Brittany, TWL / TWD lies at the junction of two trunk roads, travelling north-south and east-west. It is ideally located to ensure the transport, distribution and logistics of industrial loads of all companies in the region in the shortest time possible. Industry - Printing – Office automation – Office furniture – Domestic Appliances – School – Medical – Security – etc. Experts in our fields – Custom solutions – A proven track record – Responsiveness – Adaptability – Professional team at your disposal – Regular staff training – Ongoing quality management. 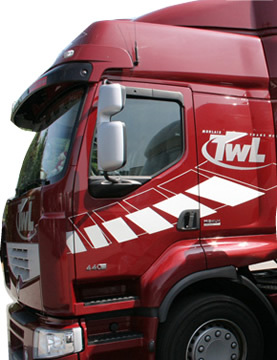 A member of the Business Clubs of Morlaix, TWL is actively involved in local cultural, sporting and economic activities. TWL also supports the Festival des Vieilles Charrues (music festival), the Pleyber-Christ Basketball Club, and the Morlaix Sports Club.